But. . .they are green. Good enough for me. Sometimes simplicity is best! 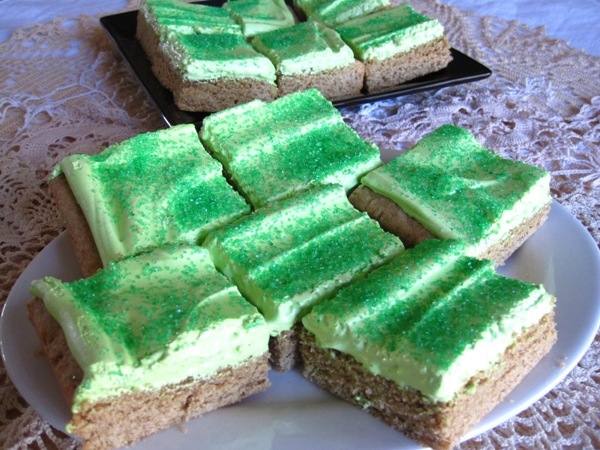 Besides, imagine how well a nice soft sugar cookie would absorb all that green beer you’re going to drink. Posted in Sweet and tagged cooked icing, frosted cookie, Marshmallow, soft sugar cookie, sugar cookie. Bookmark the permalink.